Thermo Fisher Scientific EM Image Contest - MAPP PDRA’s winning image. Thermo Fisher Scientific's annual image contest provides an opportunity for their customers "to show that their work is not only scientifically relevant but also creative, artistic, and beautiful. We are proud to say that these images were captured using our instruments." Monthly winners are selected and a Grand Prize will be awarded at the conclusion of the contest. 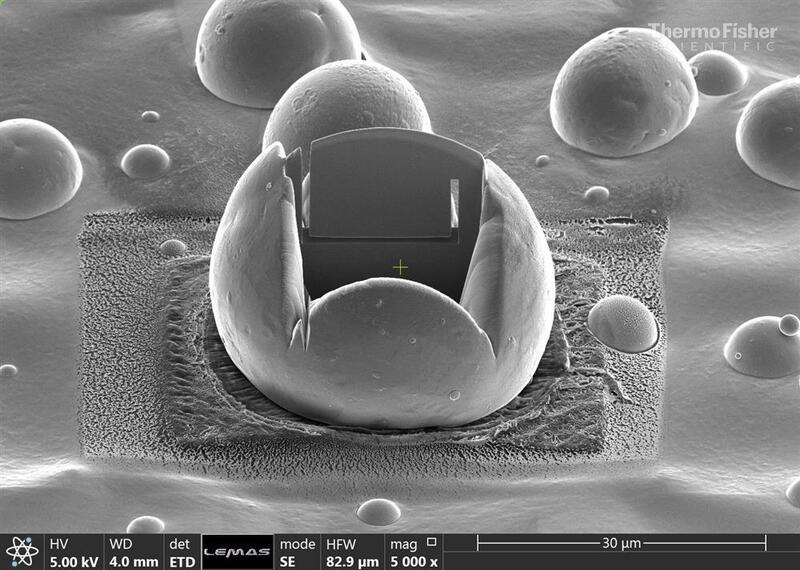 October's winners included a TEM cross section of metal particle from a 3D printer taken by MAPP PDRA Dr Jabbar Gardy, University of Leeds. Prepared on Helios G4 CX.